Stuart started with Moneysprite in March 2010 and heads up our West Sussex mortgage, remortgage and buy-to-let team, covering Emsworth, Chichester, Bognor Regis, Barnham, Arundel and Worthing. 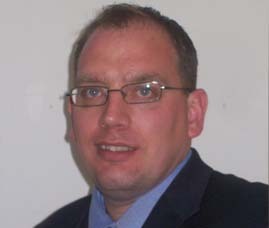 Stuart has a wealth of experience with over 15 years in the financial services industry. Stuart started his career with Co-operative Insurance as a financial adviser where he spent 3 years before moving on to the position of mortgage adviser for a large corporate estate agency firm. Having spent over 6 years in this role he felt it was time for a fresh challenge and came to Moneysprite. Stuart is a keen footballer and played semi - professionally for a while before injury brought his serious playing days to an end. He now likes to keep fit playing 5 a side. His children are now grown-up, and fledged, however his wife keeps him busy with a list of chores.